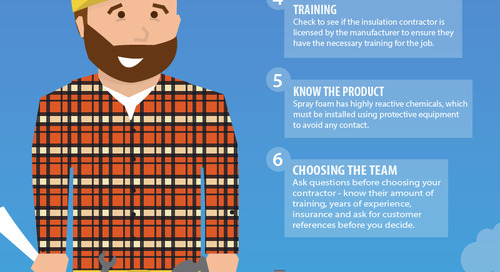 How much does spray foam insulation cost and what is the return on investment ROI for sprayed foam insulation? 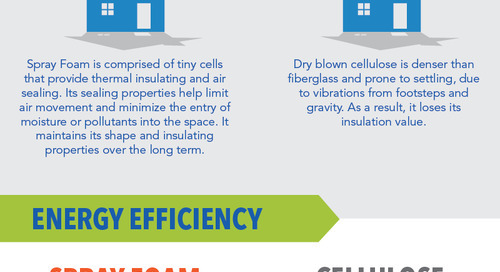 This simple infographic gives a high level overview of the benefits of spray foam insulation in a continuous insulation application compared to traditional XPS rigid foam board. 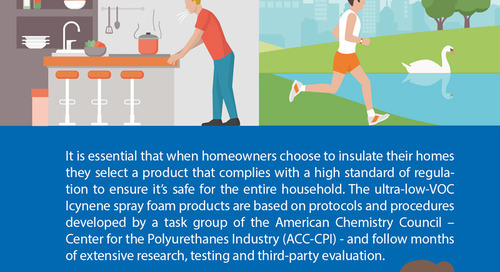 When compared to other insulation types, such as spray foam insulation, there are numerous factors to consider if cellulose is your preferred choice. 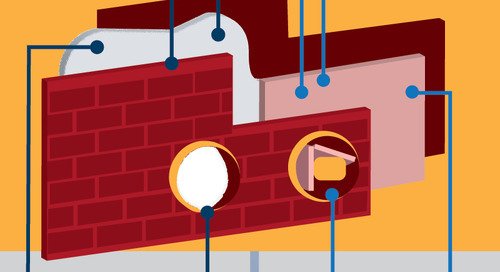 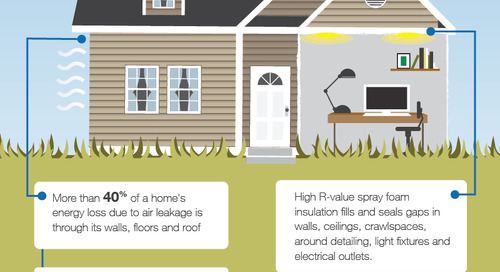 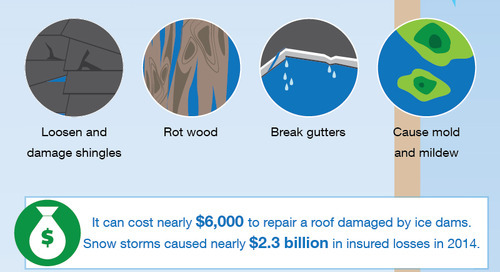 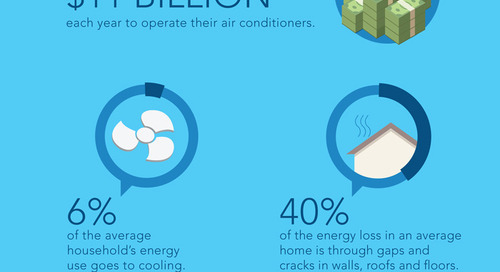 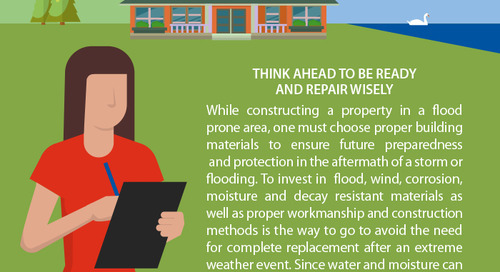 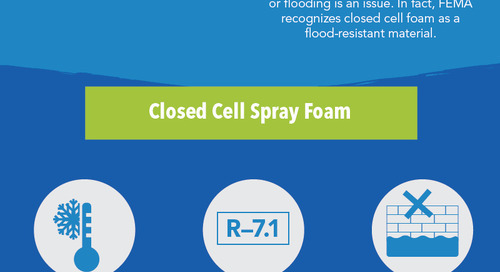 This infographic shows you how ice dams form, the potential damage they can cause and how an upgrade to spray foam insulation can help reduce the risk of them occurring. 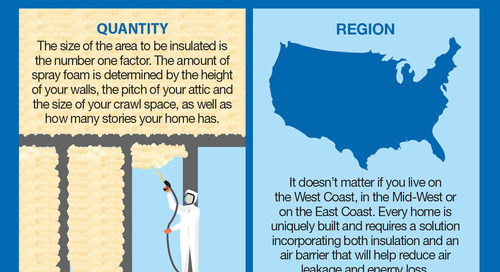 Which spray foam insulation material is right for your project and do they differ in performance? 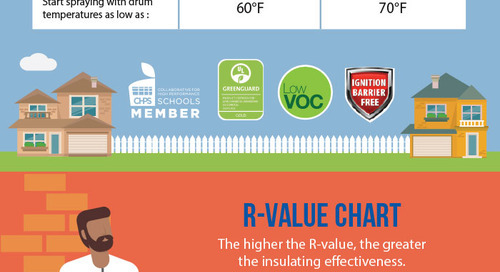 This infographic helps you understand the differences between the two types. 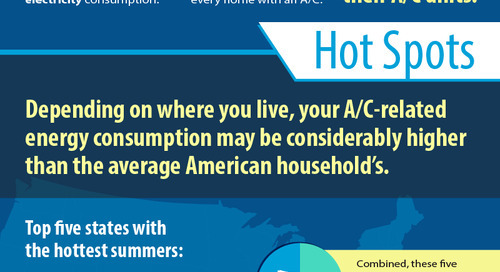 Discover how much energy your AC uses during summer and how spray foam insulation can help curb wasted air loss and costs.